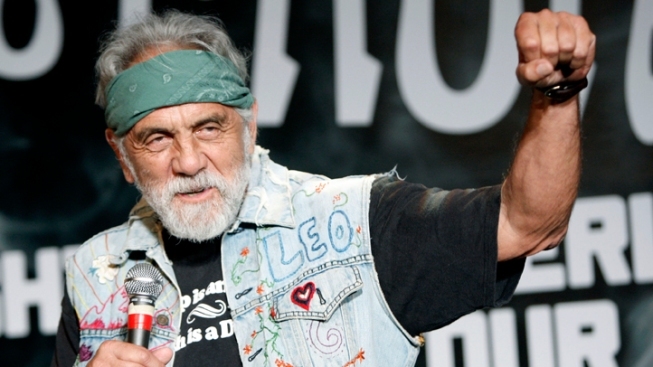 Tommy Chong revealed he has cancer. Tommy Chong, one-half of the comedy duo Cheech and Chong was diagnosed with cancer on June 9. The 74-year-old pot advocate revealed he had "a slow stage one" cancer during an appearance on CNN. He had been booked to discuss marijuana legalization. Chong said he would fight his prostate cancer with hemp oil, a derivative of cannabis. "I'm taking it as a medicine" he said. Chong said he first experienced symptoms about eight years ago during his incarceration for selling mail-order bongs. He said he had been drug-free for three years during that period. "So I know it had nothing to do with cannabis," he said. "Cannabis is a cure." Chong said he’d given up smoking pot a year ago "for health reasons," deciding instead to ingest the hemp oil at night to reduce drowsiness. Dr. Lester Grinspoon, professor of psychiatry at Harvard and a medical marijuana champion, told the U.K. Daily Mail he disagreed with using hemp oil to treat early stage prostate cancer. Tommy Chong has been touring and working on and off with fellow "Still Smoking" comedian Cheech Marin since the 1970's. He has appeared in 35 television shows or movies, according to IMDB.